With more heavy rain forecast, it’s vital drivers know how to deal with flooded roads. The waterlogged carriageway might look innocuous enough, the prospect of entering deep water quite an adventure. But it can be one of the most perilous – and expensive – things drivers do. So if you encounter a stretch of flooded road, the first thing to do is attempt to avoid it. If that’s impossible, here’s what you need to know. 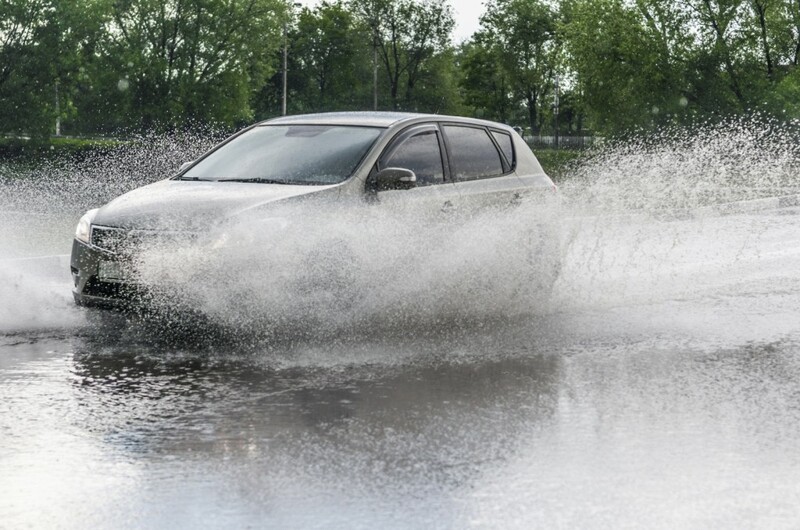 Never consider driving through flood water unless you know how deep the water is. Once you’re committed it’s impossible to do a three-point turn if you discover part way along that the water is deeper than you thought. Discretion really is the better part of valour here. Assuming there are other cars on the road, park out of the way and watch other drivers try it. See where the water comes up to on their cars and if there are any points where it’s deeper than you first thought. It’s better to get to your destination five minutes late than five hours late with your car on the back of a recovery vehicle. Wait until there are no cars coming the other way. You can take all the precautions in the world, but if a nutter in an HGV comes from the opposite direction at speed, you’ll still end up in a flooded car. Position yourself on the crown (middle) of the road as this is likely to be higher than the edges and select first gear. Experts at Land Rover advise you to enter the water at 1-2mph and then speed up to 3-4mph. Your aim is to create a bow wave in front of you. This will form a depression in the water that should keep water out of the engine bay. At all costs keep your engine running; don’t be afraid to slip the clutch if need be. If your exhaust pipe is submerged, the exhaust gases flowing out will stop water running along it towards the engine. If you go too fast, your bow wave will come back at you, eventually flooding the engine. When is the water level too high? If you’ve never measured how high your car is off the ground, you might be surprised to learn that the bottom of the door of a supermini such as a Ford Fiesta or Volkswagen Polo is only around 26cm from the ground. And door seals aren’t designed to keep water out if they’re under water for any length of time. It’s also worth remembering that it only takes around 30cm of water to move a car while 60cm of water is sufficient for a car to float away. What happens if the engine stops after driving through flood water? What if your car does get flooded? Assuming you have comprehensive cover your insurer should cover the damage. If you need towing out of the flood, make sure you keep any receipts. Call your insurer as soon as you can. They will probably have a professional service for drying a waterlogged car out. Insurers claim that around 70 per cent of waterlogged cars have to be written off. Read how not to buy a flood damaged car here.